What does Kanban mean for the Project Manager? This post is for you Project Managers / Program Managers / PMOs out there, or to be more generic people focused on orchestrating the successful on time delivery of commitments to customers. I will use “Project Manager” in this post just for the sake of simplicity. How does Kanban and its Flow-based delivery model help me do my Job? Assuming someone is considering using Kanban how is that going to affect my Job? Namely my ability to make promises I can keep and my ability to know what is going on and act accordingly as well as represent the current delivery picture up and to the customer? Why do I care about this Kanban Method of evolutionary improvement and what does it need from me? In the last couple of years I worked with several organizations which used Kanban in a project/release delivery environment and had the chance to help Project Managers deal with those questions. While a lot of the Kanban lore focuses on management of capabilities, I think we need to have good answers for those focusing on delivery as the lack of clear answers/knowledge in this area can impede evolution towards Flow while having the delivery/project leadership on board will help accelerate the evolution. 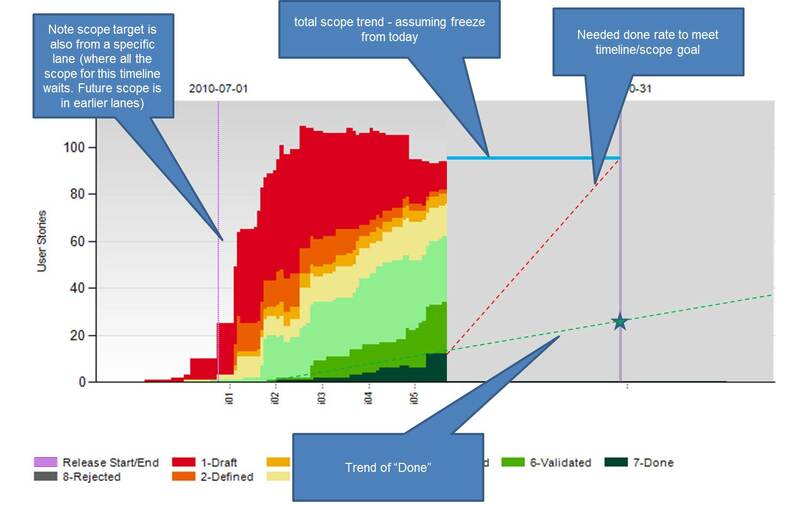 How to use Flow-based planning approaches to make commitments both for discrete deliveries as well as big projects. How to track projects in a way that will visualize and drive Flow thinking WITHOUT making any change to the project delivery approach or tracking tools. How to deal with scenarios such as new opportunities, changes in resources, dependencies in a Flow environment. What capabilities/parameters I as a project manager should focus on to improve my ability to deliver aggressively while honoring my commitments AND surviving healthy for the next round. We will use scenarios and questions I and real world Project Managers had to deal with while working on Enterprise-level projects/programs, as well as your questions/scenarios! Your organization is considering Agile/Kanban and you want to understand what it means for you and how you can continue to deliver on your responsibilities or even do a better job at them. Your organization has gone Agile/Kanban and you feel there are no real answers about Making Promises and Delivering, Planning and Tracking the Big Picture Project. You feel you have a steady delivery mechanism but you are not maximizing the potential of the organization’s capabilities and want to see how to take a step forward without sacrificing the predictability and stability that you now have. If you have questions or want to learn more you can either leave me a comment or contact us at AgileSparks. This entry was posted in Events, kanban on July 8, 2012 by Yuval Yeret.